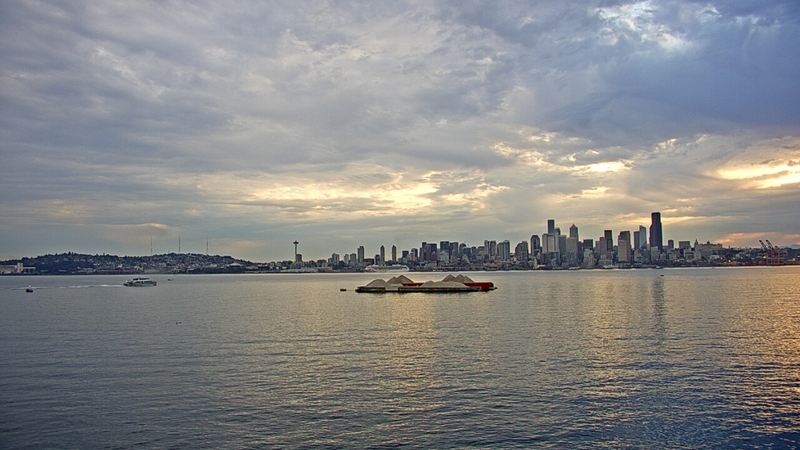 Click here for Salty’s weatherbug camera link and get an eyeful of what’s going on right now in Elliott Bay. Then, just for fun, on the same web page, click on the link for “Last Hour” or “Today” and watch an animation of what’s been going on in the last hour or all of today. It includes the lit-up Seattle skyline at sunset to morning sunrise, going from gray to blue skies and everything in between, from historic Queen Anne Hill to the Port of Seattle shipping cranes on Harbor Island. This is news you’ll want to share with your friends on Facebook, so scroll down and hit the Like button! Then, just for fun, click on the link for “Last Hour” or “Today” and watch an animation of what’s been going on in the last hour or all of today.